This book shares some characteristics with Elena Ferrante’s Neapolitan Quartet, which by chance I read just before picking Milkman up at the library: both explore themes of toxic masculinity, economic oppression, and, the effects of competing, overlaid, vernacular “social credit systems” that judge you by how well you follow the usually unspoken rules of family, neighborhood, church, formal or informal government, culture, and class. Furthermore, both elicit polarized opinions of their value; in my various and varied reading groups. I have encountered no one who says of either book, that it was “a nice read” or “got through it but it was a bit slow”; folks seem to say of each tale that either they loved it, found it exhilarating and even inspiring, or that it was frustrating and unreadable. And so I warn you now that I loved both books, and contend that the authors deserve any prizes they have won or may win for them, and should win them all. I find them to be astounding pieces of work that raise my faith in literature. 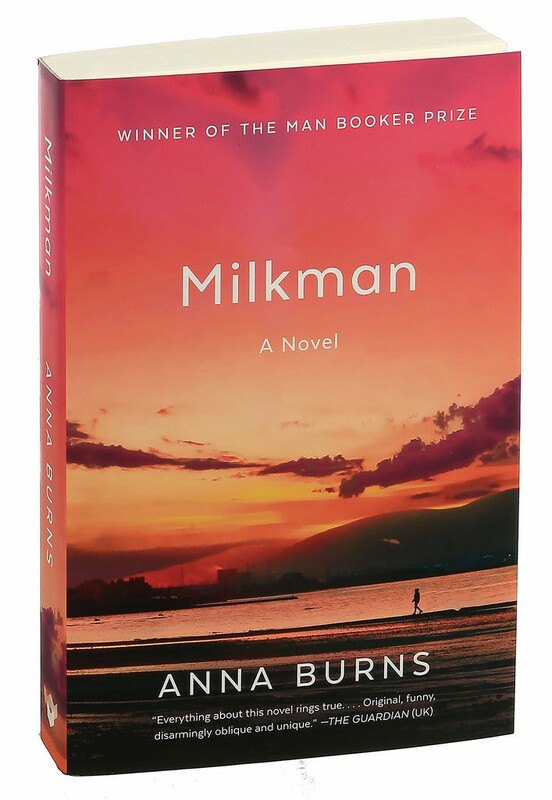 I discuss the Ferrante books briefly elsewhere; today, let’s look into Milkman. There are dozens of characters thus monikered, but they are all easily kept track of, thanks to the gifted writing of author Anna Burns. The fractured political geography of the town, the intricate gradations of social judgment as decreed by town gossips, family connections, friends, the paramilitary rebels who control her area, the police, the British military (always referred to as “state forces,” as Britain is always referred to as “over the water” or “over there”)—all this is as clear as if mapped, and this, more than the Milkman’s stalking of the narrator, is perhaps the real center of the story. The violence, the bombs, the endless butcher’s bills, and, yes, the intricate, relentless, yet almost delicate stalking itself, serve to illuminate an exploration of multiple overlaid and conflicting “social credit systems” that insistently and relentlessly evaluate, judge, categorize, and elevate or condemn each member of society—even those such as the narrator who make every effort to keep themselves invisible or at least irrelevant to the judges. (One is always aware that in some cases the judgment can result in literal execution.) Of course, the attentions of a notorious and highly placed rebel such as the Milkman make it impossible for her to sustain this pseudo-anonymity, and the situation forces her into an unwanted celebrity that breeds its own mixture of resentful respect and cautious disparagement–even though middle sister never actually has an affair with the Milkman. In the end, the Milkman’s death (foretold on the first page) frees her from immediate attention, but the experience has obviously changed her life forever. It is a brilliant book, written with the linguistic grace of someone who grew up hearing Irish dialect and incorporating it into her own style, someone too who loves language, who understands that language can be as much a tool of obfuscation and control as of liberation and connection, and who further understands the constraints that the inescapable desire for stability imposes when it is exaggerated in reaction to a life of endless threat. Burns also understands how desire in general and both the stubborn pursuit of its fulfillment, and the acquiescence to its frustration, can be equally distorting of the spirit of even the simplest human beings. The books is full of tragic moments, meaningless triumphs, plangent regrets, brutality, confusion, uncertainty, and also tenderness, courage, and even clearsightedness (most of all in the character of “real milkman,” in what is revealed of him towards the end, and the way it affects the aging gossips of the town). Milkman is an intense, intricate, illuminating, and illuminated story, beautifully crafted and with a impeccable ear for the music of the English language, and also for the abstract musicality of meaning that plays in its grammatical constructions and word choices. And it is also at times subtly funny or even, as in the last chapter, hilarious. In a world all too often filled with threat and confusion, Milkman models a modest sorting-out of the artificial complications we humans can’t help invoking upon ourselves. It is an oddly useful book as well as a brilliant aesthetic construction. If you can read English, you should read this book.